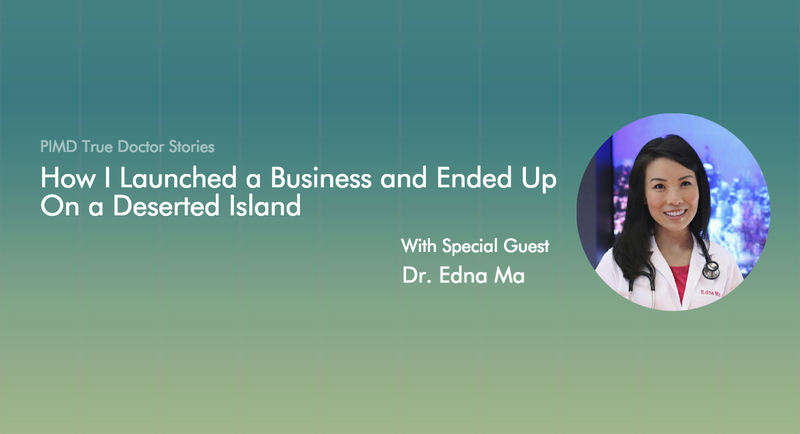 How I Launched a Business and Ended Up On a Deserted Island | Passive Income M.D. Dr. Edna Ma is a board-certified anesthesiologist working and living in Los Angeles. Besides being a fantastic doctor, wife, & mother, in her “spare time” she has taken an idea and built a business from scratch, Dr. Edna’s BareEase. This journey has led to opportunities on multiple TV shows including Shark Tank, The Doctors, and Survivor. I want to know all about BareEase. What is it and how’d you come up with the idea? BareEase is a prep kit that numbs the skin of the bikini area before a waxing or laser treatment to reduce pain. I launched the business in 2010, and now our products are sold in salons and online. A few years back, a girlfriend suggested that I get a Brazilian bikini wax. Since I’m the type of person who will try anything at least once, I decided to give it a go. Boy, was it painful! As an anesthesiologist, I knew there was a way to prep the skin to minimize and prevent discomfort during normally painful procedures. When taking care of children, we always numb the skin before placing an IV using EMLA and a Tegaderm. So why couldn’t we do the same before waxing? So I came up with the idea for BareEase. I created the very first BareEase prototype literally in my kitchen, and eventually launched a business a few years later. So now that you had the idea, what did you do next? How did you get started? That was a long process of trial and error! I had no business training, contacts or experience in manufacturing. So basically, I started Googling “manufacture for plastic tubes” and “FDA consultant.” I was working full-time in a hospital as an anesthesiologist. I would call companies and factories between surgeries and spent every post-call day and every available weekend researching the market, visiting factories, and taking Skype calls (with manufacturers in China). As you can imagine, I was hustling! Finally, after three years of hard work, we were ready to launch, which we did in early 2010. My primary motivation was FOMO (Fear Of Missing Out). When I was in medical school (almost 20 years ago now! ), I owned a small pocket-sized dog and lived in Denver on an upper level apartment. I had trained my dog to pee and poop on sod (two rolls of REAL grass) that I had placed on the balcony. Then on snowy days or nights, when I didn’t want to walk her, I would let her out onto the balcony and she would relieve herself there. Fast forward 10 years, this product was being sold at every pet store. You wouldn’t believe my frustration when I first saw “my idea” being marketed. Because of my inaction, I left an opportunity for someone else to seize it. I told myself right then and there that I wouldn’t let another opportunity pass me by. Like most doctors, I generally like to solve problems and I like the challenge too! I probably had too much time think behind the ether drape. I’m kidding! Actually, starting BareEase allowed me to have a creative outlet with financial upside. Okay, so how did all this lead to you stranded on a deserted island? Haha, well auditioning for Survivor was a total accident! I was trying to get onto Shark Tank for my business, but they weren’t casting for it at that time. Actually a friend randomly suggested that I go to a Survivor audition. Since it’s the same production team as Shark Tank (Mark Burnett productions), I thought I might be able to pitch my idea in front of them and get it fast tracked onto Shark Tank. Unfortunately that didn’t work, but the casting team did find me interesting enough to cast me for the next immediate season of Survivor. Literally two weeks after my first casting interview, I was on a plane to Samoa! But you did end up eventually making it onto Shark Tank! How much did that help your business and are you still running it yourself? No, thankfully I’m not running it by myself anymore. After appearing on Shark Tank, I found an investor who has a logistics team that manages everything from the warehouse to customer service accounts. Their team now runs the business, for which I am very grateful. It’s hard to trust people to manage a project that I handled for so many years. However, they’re a wonderful team and have definitely earned my trust! This has been a lifesaver for me because I’m able to spend more time with my family but also earn money from royalties from the product I created and spent so much time on. It’s truly passive income at this point, you’d appreciate that! Now, one of my favorite pastimes is learning about monetary history and global macro-economics. I’ve come a long way haha. How were you able to balance this new company with your job as a physician and a mother? Where did you find the time? How do I begin to answer that question? Like every physician, entrepreneur, spouse, and mother of young children, I think the key to finding balance is triaging and prioritizing activities. Your time is the most valuable thing in the world so I focus on those things that are the most important to me. My husband and I would not survive without using Google calendar to coordinate our schedules. Fortunately, my career as an anesthesiologist allows for some flexibility. I’m able to structure my schedule so I can prioritize spending time with my children and also acting as mommy-taxi. Anything you would’ve done differently? This reminds me of a M&M conference question! While I was on Survivor Island, and immediately afterwards, my mind was like a broken record. I kept thinking, “What would have happened if I did X, Y, or Z?” I tortured myself with how I could have done things differently. What I did learn from this experience was that the past is in the past and I can only control the future. When preparing for Shark Tank, I desperately wanted to close a deal with one of the five sharks, but didn’t. I walked off the set without a deal. I left like a total loser! I was sleepless for weeks, but when my episode finally aired, literally thousands of people reached out to me! And some of those people were interested investors. It was like getting 20 invitations to prom, but better! That led me to the team I work with now and we’re still in the process of growing the “Dr. Edna” brand. So in retrospect, the best Shark Tank deal for me was to NOT to get a deal on TV. Funny how life works out sometimes. So I guess, NO I wouldn’t have done anything differently. Both TV experiences have led to general validation of BareEase as a brand and helped fulfill my personal love for adventure. I don’t regret my experiences on these shows! My advice would be to just take action, but to be patient at the same time! It seems contradictory, but the journey of 1,000 miles does start with one step. The process will probably take more time, money, and resources than you expect. You may stumble along the way, but you’ll get up and continue on! Exercise your perseverance. You’ve already completed medical school and residency. Starting your own business or pursuing other sources of income will be easy compared to what you’ve already accomplished. You can’t control everything, but know when you can, and take action. Trust me, if I can do it, anyone can! Previous articleThoughts For the Weekend.